Consultation "proposing changes to bus routes 110, 419, 493, H22 and H37 to reallocate bus resources to where additional capacity is needed in Richmond, Twickenham and Whitton." •The merged route would have buses running every 15 minutes rather than every 20 minutes. Existing route 110 passengers using the route between Hounslow and Whitton would receive a frequency increase. It would run via A316 Chertsey Road between Twickenham Stadium and St. Margaret’s, a 1.2 kilometre section of road not currently served by buses. New stops are proposed providing new links to local Richmond and Whitton town centres. •Route 493 would no longer run between Richmond, Manor Circus Homebase and Richmond Bus Station. Additional bus standing space would be available in Richmond two centre meaning route 493 would no longer need to run to Manor Circus for standing. •Route H22 would no longer run between Richmond, Manor Circus and Twickenham town centre. However, R68 and R70 would continue to serve Richmond Road. •Route H37 frequency would be reduced from buses running every 6 minutes to buses running every 7 to 8 minutes during Monday to Saturday daytimes. An extra bus would run to provide 9 bph during peak demand to and from Richmond and a second extra bus would remain in place to meet afternoon school demand at Isleworth. •The route will be covered at its busiest point, St. Margaret’s, by extended route 110/419. This would add an extra 4 buses per hour during the peaks and Monday to Saturday daytimes, and provide new travel options. Thunderbird 2 dropping Pod 3. How many times are they going to alter the 110? 😡 😱 OMG! 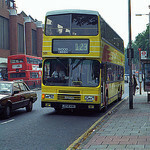 The H22 would now become very short - perhaps it could be merged with another route terminatint at Hounslow? 110/H22 - DLEs from the H22 cut could be used for the 110 extension, with the revised 110 operating from AV under the existing 110 contract. Plot Twist: The E200 MMC's are too heavy for Hammersmith Bridge. Not bad changes really. Nice to see St Margarets gaining another service that will link as far as Barnes and Hammersmith. Also good to see the slight reduction between Richmond and Manor Circus. I think loosing a route thou between Richmond and Twickenham should be replaced with a DD 490. Not sure about this at all. It makes the new 110 incredibly long (and unreliable when sitting in perk traffic on the A316). This scheme was originally advertised a few months ago as involving the 391 and R68. Maybe the cut off the 27 meant Chiswick High Road couldn't loose another route. As for vehicles the new 110 will have to use older E200s from the 419 and part H22 but at a later date gain heavier newer buses. The H22 cutback is a terrible change and someone more local mentions the A316 jams up regularly with traffic so this longer amended 110 is going to be poorer choice than the current 419 is for passengers east of Richmond. I'm also dubious as to how many people would travel to Hammersmith from St. Margaret's by bus given the area - more likely stay local and go to Richmond by bus or use the bus/train and change at Richmond for the District. 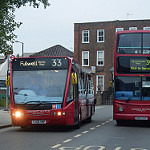 The 33 has often used the 18reg DLEs at FW. Yet another volte face by TfL by unravelling the 110 extension to West Middlesex Hospital. How many route change reversals is that now? The rerouting of the 110 towards Richmond is quite clever but it does remove the 110 from serving Twickenham which it has done for a long time. It also places yet more stress and strain on the overloaded 490. Unless they stick deckers on the 490 this looks short sighted to me. I am surprised the R68 wasn't in scope for hacking around but perhaps TfL don't want to overly enrage Kew and Richmond residents? I think the revised 110 will be too long and prone to delays especially on the A316. I guess the 969 will also be killed as a result of these changes as the new 110 will give a service to areas currently a bit far away from other routes. I haven't used the H37 in a long time but I am surprised that TfL wish to cut its frequency every day of the week. Equally I expected the weekend night service to be at risk. To be honest a weekend night 110 on its revised routeing would probably be far more beneficial. Slightly bemused by remarks from TfL that the 493 is a "very long route". Isn't it just the same route as when it started? Another Ken era new route subject to TfL fiddling. 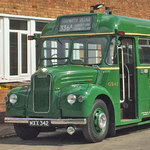 If the DLEs can not be used on the revised 110, perhaps it could swap them onto the 371 in exchange for DEs? The 371 is said to be quite an overcrowded route, so longer SDs could help. Given how much the 110 is being changed, and considering previous restructures of the route, I think the 419 could be a more suitable number. As the entire existing 419 routeing is retained, and is simply extended from Richmond. While the 110 will be rerouted around Whitton, cut back from West Middlesex, then extended to Richmond, then along the 419 line of route. Converting the 490 to DD would definitely be a good idea, and is up for tender vert soon. Also, reliability on the revised 110 could perhaps be improved by swapping routeing with either the 209 or 190?